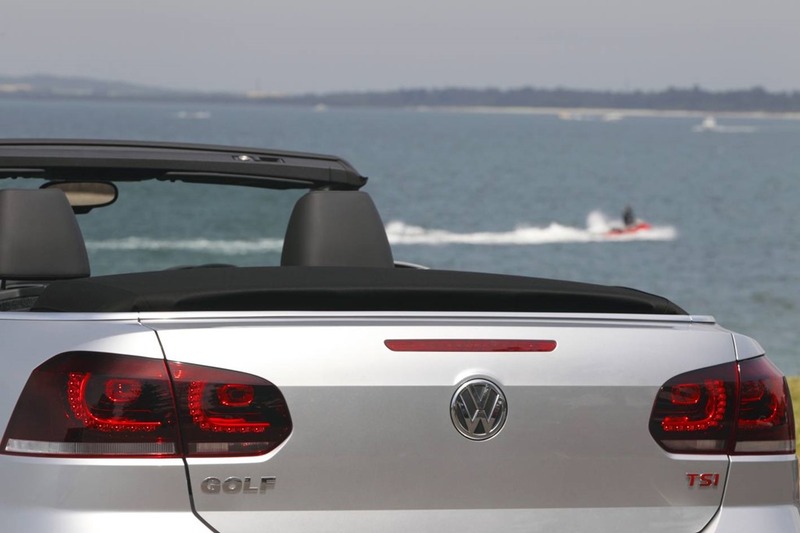 Open Top in a Golf: Driving as Nature Intended. I’ve gone on a bit about Golfs in the past. I quite like them. I like the simple elegance of the design and the quality of the fittings, and the carefully considered nature of the manufacture. It is, in fact, German and that entails all the things one has come to expect of a country not known for its collective sense of humour. This is the last hoorah of the Mark VI Golf. The Mark VII hatch has recently landed but I imagine the MK VI will be around for a little while yet, especially in the drop-top version. I have a thing for convertibles, a yearning that a 15 minute scratch won’t satisfy. I try to act all cool and nonchalant when I’m asked for an opinion on open-air motoring, but in fact I’m barely contained. The mere sight of joins in a metal roof, or, and this is my preference, a cloth top, sends me into private fits of ecstasy the like of which is usually not mentioned in polite company. By way of a brief history, this is not the first Golf with the roof hacked off. 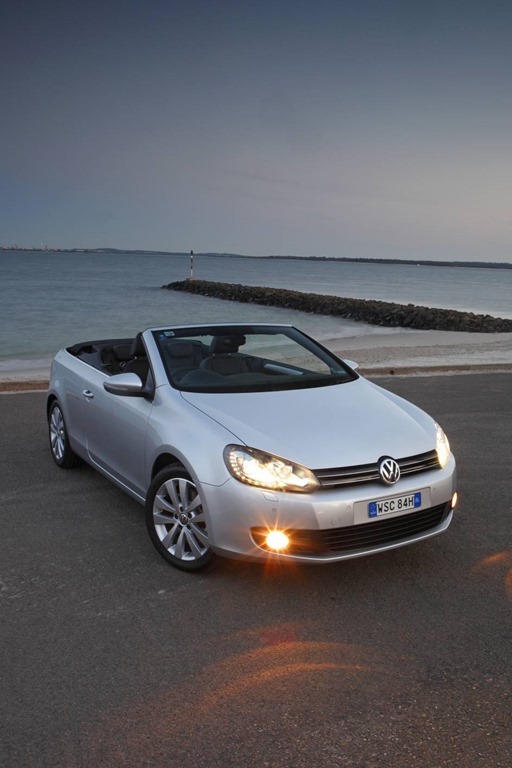 In fact the cabriolet, which is French for “we can’t spell convertible”, has been around since the very first MK I and was released in 1980, 6 years after the hatch. It was a clunky thing with a roof that blocked your rear view because it didn’t fully retract, and a roll bar integrated with the B pillar that you knocked your noggin on. It became iconic and there are still a number of them about the place. 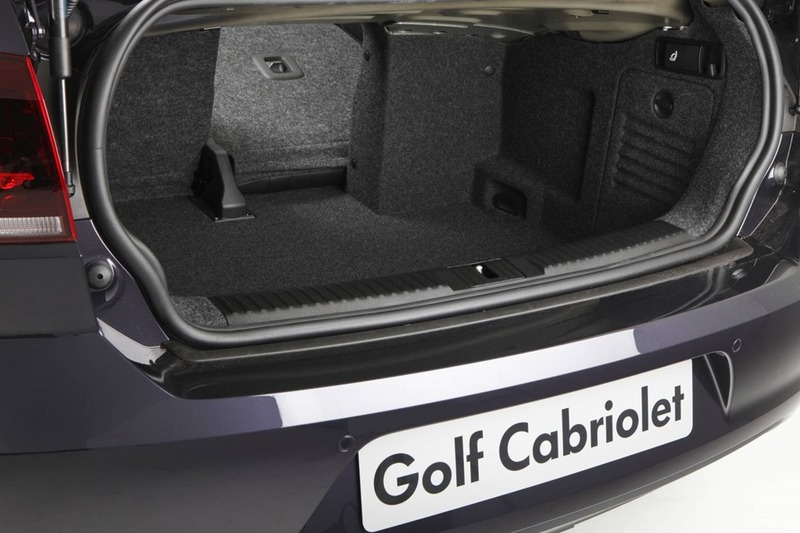 A little while ago Volkswagen decided to revive the Golf Cab which had been dumped in favour of the Eos with its clever folding hard top. I’m afraid I never really thought the Eos was very good looking despite its flexible roof positions. It always looked a bit awkward but the Golf is as cute as a button and a million times more fun. Sadly we don’t get the 188kw R here but the 118 TSI 1.4L petrol turbo is a gorgeous engine regardless. Despite the fact that I had been driving the (188kw) Scirocco R the week before, the 118KW/250Nm feels nippy. There is that turbo lag which can drive you potty but you simply modify your driving style to suit. 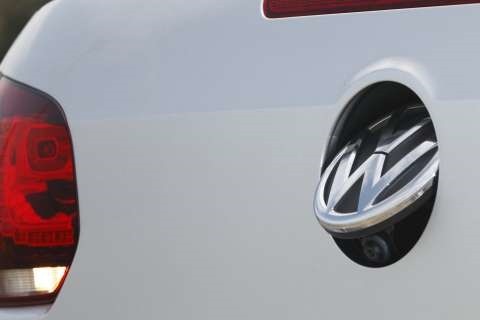 There is a trick to driving a DSG VW is when taking off from standing, move your foot from the brake to the slowly accelerator to allow the clutch to engage. Moving too quickly means there is a lot going on under the bonnet. The hesitation feels initially like something has gone badly wrong, then without warning the clutch kicks in and you take off like a startled gazelle. Of slight concern were the 2 occasions when the Golf refused to engage the clutches despite being in drive. It happened in traffic and at a set of lights. The latter needed to be shifter into P then back into D but the former was slightly more serious sulking session and the car needed restarting. I’m assured it’s a fault easily fixed. Most of the time it’s impossible to tell you are in a car with such a tiny engine. It spins freely feeling like it will go on forever, but is rev limited like most new cars. Of course the DSG is much smoother in “normal” mode but pulling the knob back into “sport” and the sweet little twin turbo is kept spinning at just the right rate just off the boil. It will do 0-100 in 8.5 seconds so it’s no slouch, but nor is it a rocket. The body bracing adds a little weight but at 1400 kgs the Golf isn’t hugely heavy either. The drive is as engaging as any other Golf. You can feel everything through the seat of your pants and the steering wheel despite the electric-ness of its assistance. So raise your eyes to the heavens and give thanks that removing the roof didn’t ruin the handling. 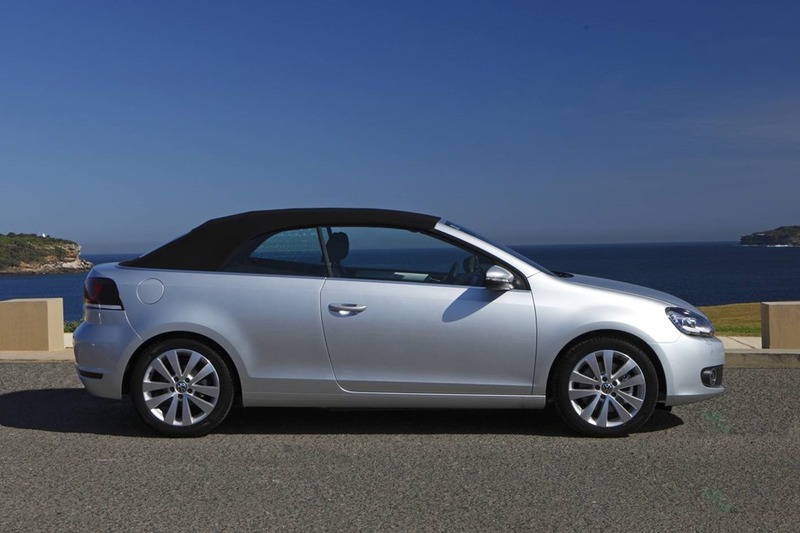 Some convertibles are like driving a large bucket of porridge. The Cab performed admirably on the usual Grand Pacific Drive test, and the Royal National Park section provided a thorough workout, and not just for the car. As you snake your way through the rain forest, the smells and the sounds provide a background symphony punctuated with regular whistles from the twin screws under the bonnet. The shards of sun that slice through the thick canopy dance over every surface of man and open-air beast in a sensory overload. The experience of this open-air motoring is something that everyone should experience once before they fall off their perch because, like riding a like at 100, there is nothing else quite like it on the planet. Without metal and glass forming their bubble of alternate reality, the world seems more real, more exciting, more enticing and more importantly, more “special”. In fact the only time the roof was up was while the car was parked except for a couple of on-road tests. Let’s talk about that roof for a moment: it too is more special than you would normal give a cloth-top credit for. 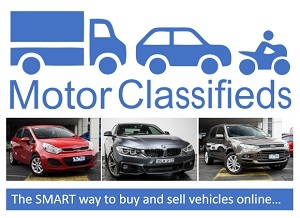 In most cars you can’t raise or lower the roof while the car is moving. In fact most metal folding roofs need to have a foot on the brake, the hand brake engaged, the gear lever in park, and all fuel to be drained from the system and replaced with tissue paper hand made in Japan by virgins of the forest. They are delicate little things and the slightest misaligned movement will have springs and things flying about the place like a Tom and Jerry cartoon. You see, if everything doesn’t line up the silly thing gets stuck. 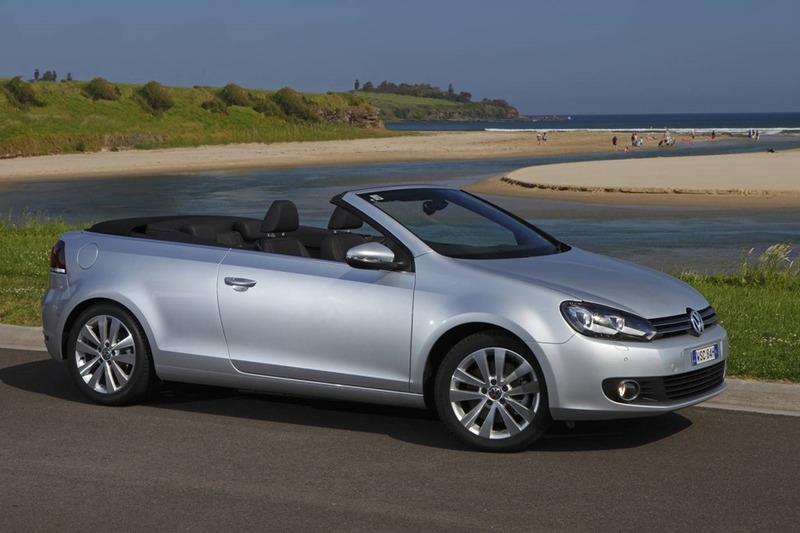 A cloth roof can be made to work more creatively so the Golf will allow the roof to function at speeds under 30kph. It’s fun watching the expressions on the other drivers as you do the dance in heavy traffic. But it doesn’t stop there, the boot shape doesn’t change because the roof has its own compartment into to which it folds in an origami-esque ballet. 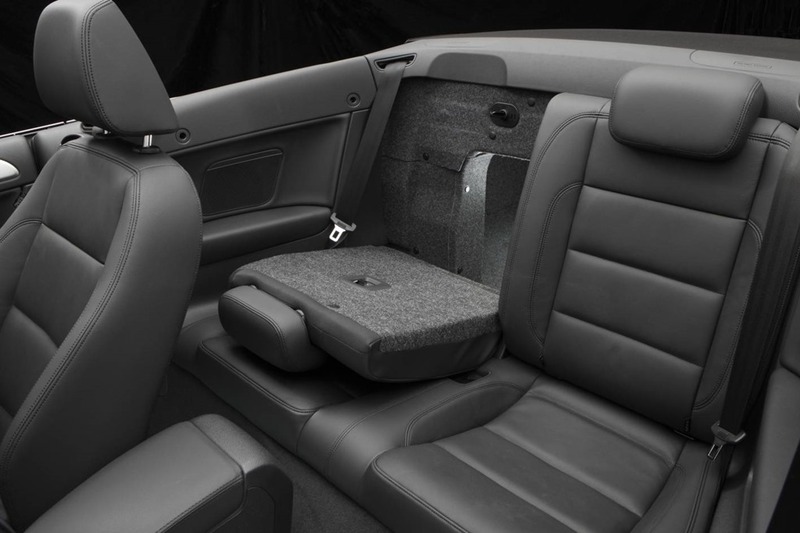 It does all this in 9 seconds because VW kicked the traditional compartment cover to the curb. This does mean you can still see the front section of roof when it’s fully lowered. That’s no problem though as that section is a hard material over which the fabric has been stretched. That means the hard section is what you see and although you are still able to gaze deep into the inner workings, you are still able to marvel at the simple solution to a complex problem. Perhaps it would be more accurate to say that’s is complex solution made to look simple. You can raise or lower all the windows with a single button in the cabin and another on the fob. How’s that for mind-bogglingly useful? One last point about the roof is that it is fully automatic so there are none of those pesky handles and knobs which need to be unlocked and given big hugs before the roof will operate. People who haven’t been in a cloth top lately ask about the noise. There is no hiding the fact that you are more involved in what’s going on outside but not so much as to be intrusive. Moreover the same is true at speed. For that part of the year where it’s far too cold, or wet, or hot, you may rest assured you won’t be shaken or stirred if you don’t want to be. Friends overseas frequently say “oh but in Australia you can have the top down most of the time” and for us that was true. The roof button was the first thing to be operated once the engine was started. I’m not sure whether I’d be quite so keen on a day where it’s 46c in the sun. The rest of the car is all Golf. 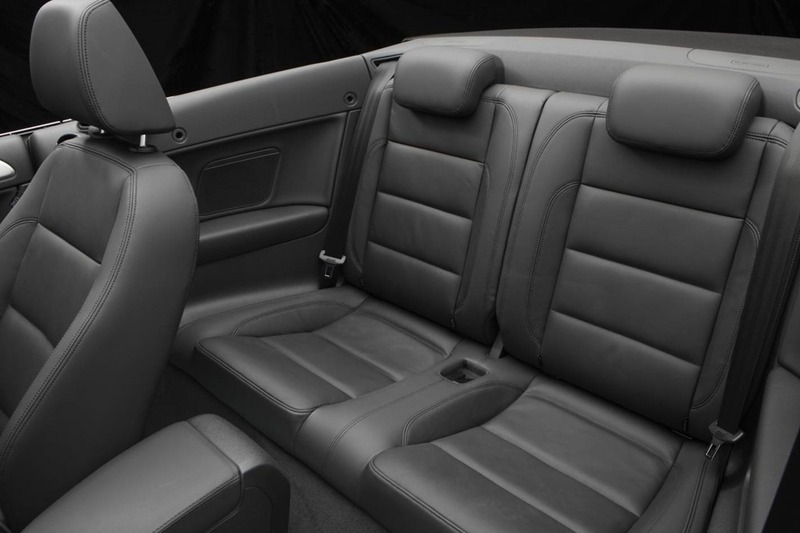 The interior is plain and simple in the basic guise. Leather makes it feel more luxurious but it only comes in black, and remember what jet black feels like after an hour in the Australian summer sun. You could fry an egg on it so the first few layers of your epidermis present little challenge and even less protection. The switchgear feel good to the touch. 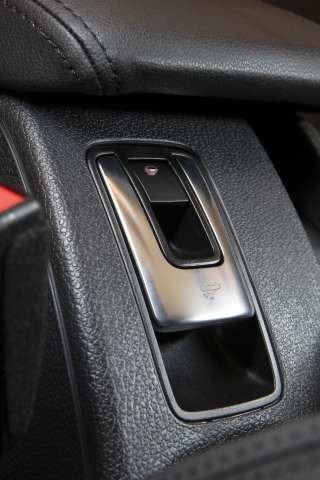 There is resistance in the knobs and buttons which give the same kind of reassuring impression of quality as the doors when they are shut. Everything sounds and feels like a Golf. The Golf even got to help a damsel in distress by collecting her 6yo from school after her Lancer was remodelled by a Landcruiser. I pressed his little finger on the button and he squealed with excitement as the roof disappeared behind us. He said the car was “most excellent and mum should buy one right now” which is high praise indeed, even more so when you consider the school is in a posh part of town. Quite simply it is perfect. 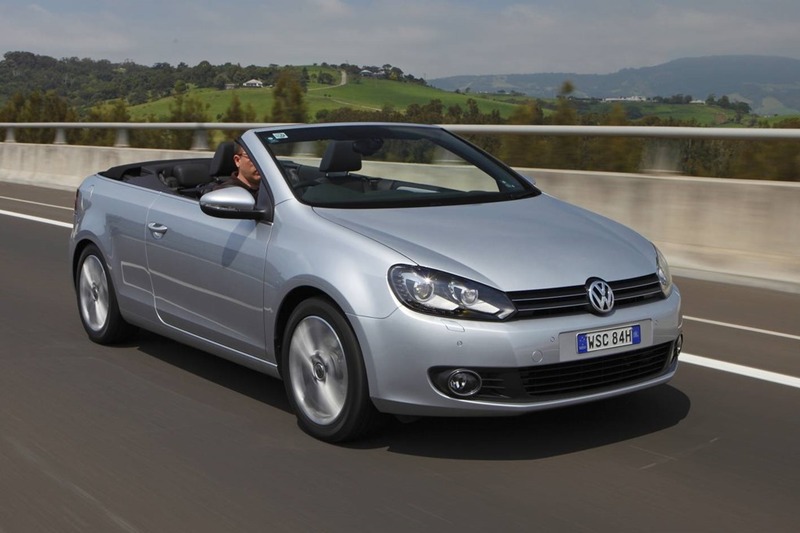 The Golf Cabriolet is a little hidden jewel quietly making its owners happier than any of them have the right to be and it is perfect for a hip young couple. Manual $42,231 DSG $44,806 drive away but you can add another $10,000 if you tick all the option boxes.